Sewer problems can take many forms. Taking care of your home’s sewer line is important for maintaining your property and ensuring good flow through your home’s drains. Knowing the different types of problems that your sewer line might face can help you avoid problems. People naturally assume that if their house smells like sewage, this is a sign of a clog in the making. This is not the case. In fact, a sewage smell in the home is a common problem that can usually be fixed without a plumber. The sewage smell likely comes from a loose drain cap or a dry P-trap. Drain caps help keep the sewage smell out, but when caps are left loose or go missing, these odors may leak into the home. Homeowners who notice an odor can solve the problem by first checking the drain caps in all their floor drains. If all drain caps are tight and in place, then the problem could be coming from a P-trap from which all the water has evaporated. To fix the problem, dump water down each drain of the house, focusing on drains that are rarely used. Run the basement showers, flush the basement toilets, run water in the guest bedroom bathroom and so on. Gurgling noises in the pipes. Water backing up into the lowest drains of the house. All the drains in the house become slow at once. Water from one fixture drains into another. For example, water draining from the washing machine ends up in the bathtub. If you notice problems like this, call a plumber immediately. This could be a sign that your home’s sewer is about to fail. Calling a plumber could help you avoid a messy disaster. Water your trees during times of drought. Tree roots will work harder to find water when it seems to be in scarce supply. Watering your trees regularly can prevent problems. 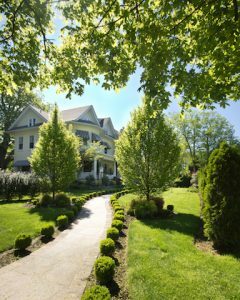 Avoid planting water-loving trees on your property. Some trees just need a lot of water to stay healthy. Willows and silver maples are good examples of water-loving plants that will invade sewer lines in search of the moisture they need. Sewer-safe trees tend to have contained roots and need less water to stay healthy. Some good examples of sewer-safe trees include serviceberry trees and Japanese maple. 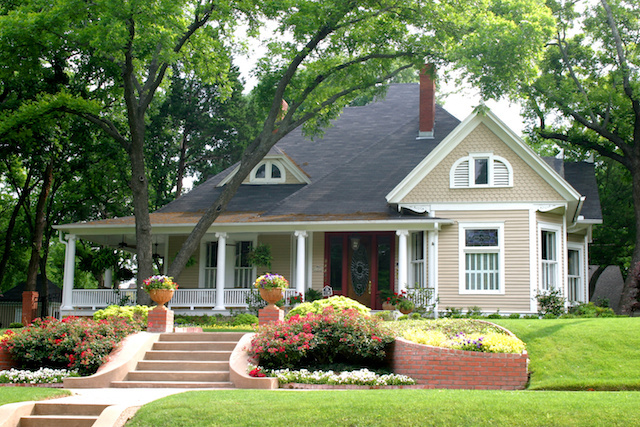 Plant all trees at a safe distance from you sewer lines. If you’re not sure where your sewer line is located, contact your utility company for a map. Most sewer lines rely on gravity to draw down waste into the sewer. If the line isn’t properly pitched, waste can build up in the line close to the house, causing a backup. To fix the problem, the pitch of the line must be changed or a pump must be installed. At Terry’s Plumbing we provide hydrojetting services to clean out sewers. We also provide sewer repair and replacement to homeowners in Pittsburgh and the surrounding areas. To make an appointment, contact us today at (412) 364-9114.